So nothing really since May. How dissapointing. My life has gotten pretty good. Work is crazy, crazy, crazy busy. But I have a job I like. What a difference that makes. I would love some more down time, for sure. But there are worse things. Lots of down time and a soul-sucking job. Very little down time and a soul-sucking job. So on the balance, not too bad. 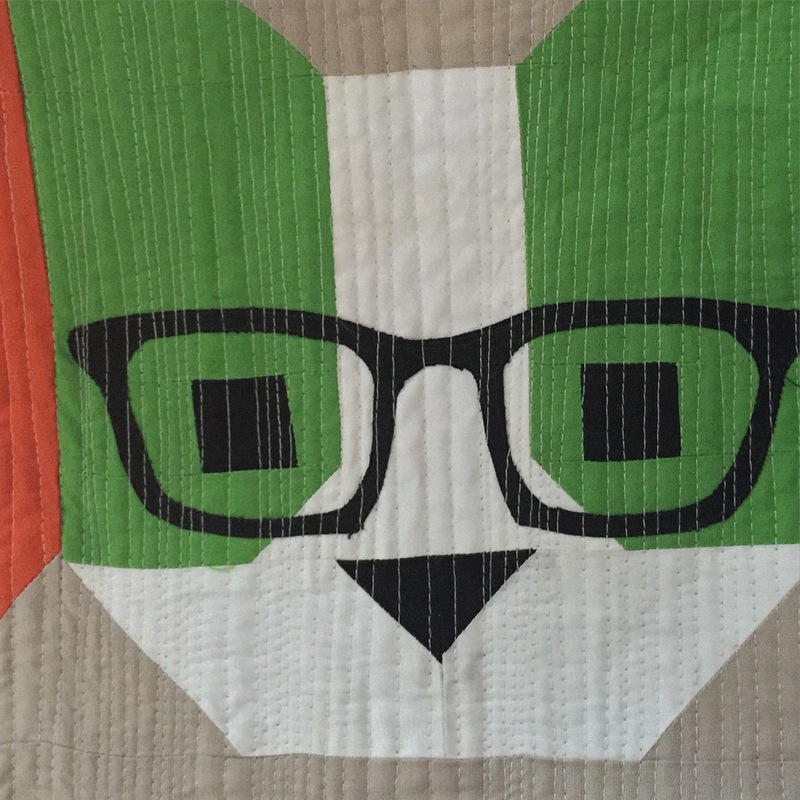 Enough about that, QUILTS! 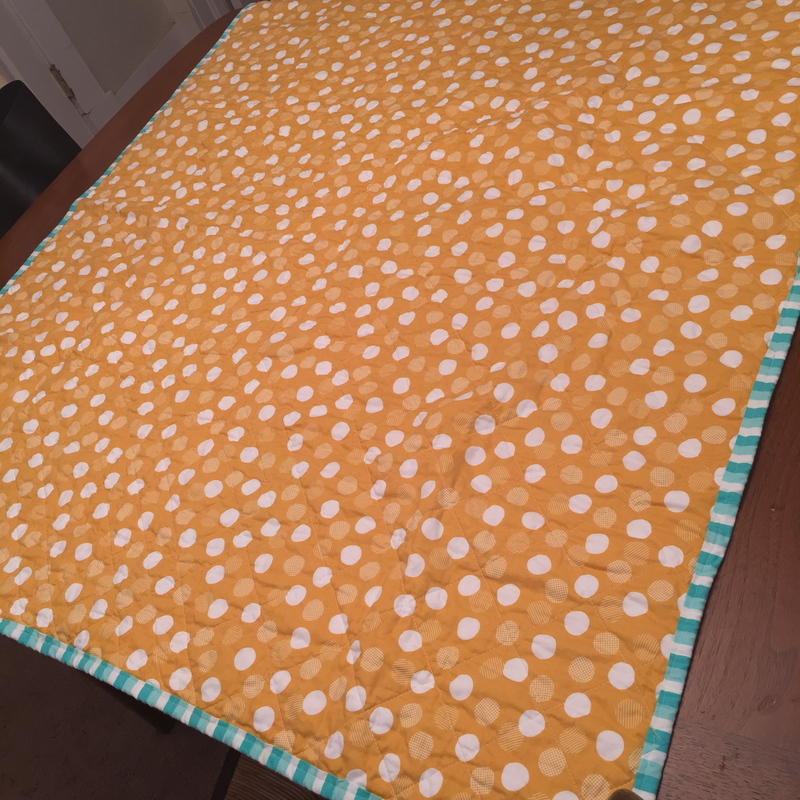 I have not been sewing enough. 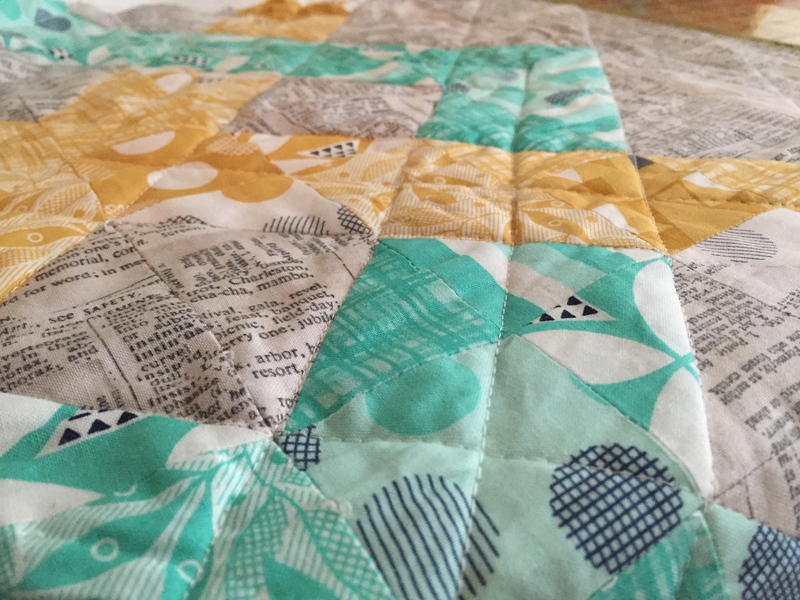 My goal is to finish three quilts this weekend, that would give me lots to write about. So, onward. 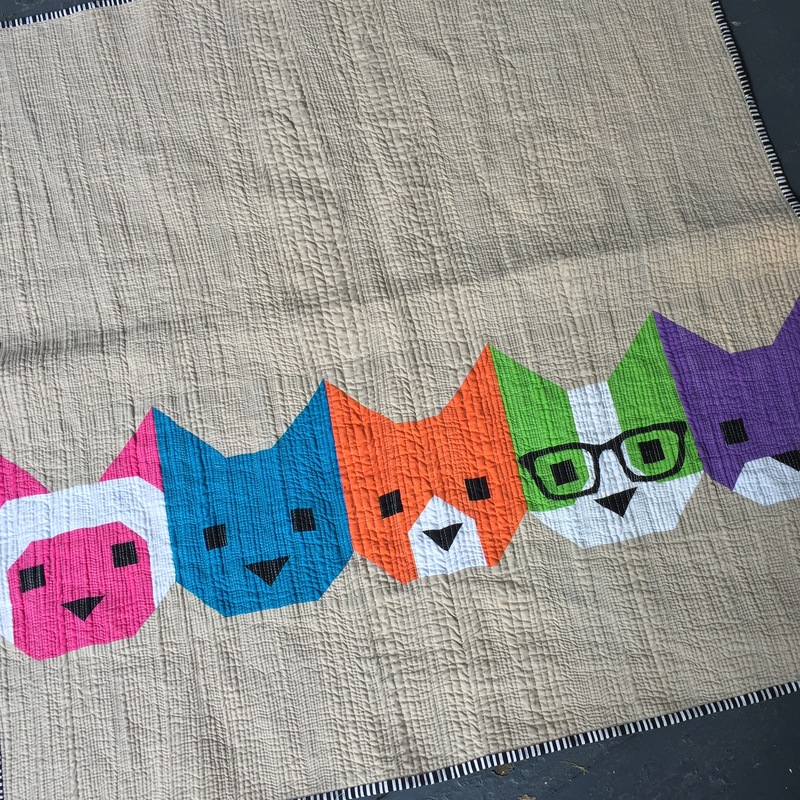 These little kitten faces are part of a quilt I made for a charity quilt auction for the local humane society. 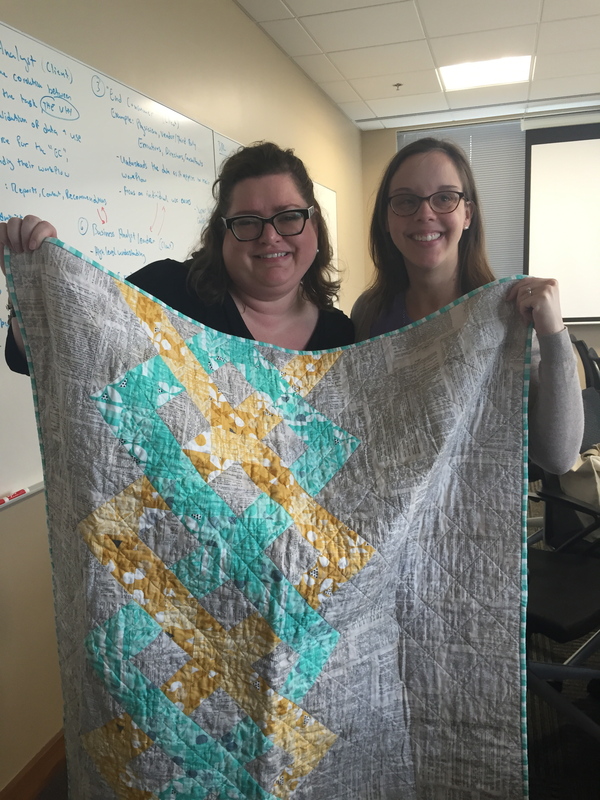 I used Oh Frannson!’s pattern (with her permission). 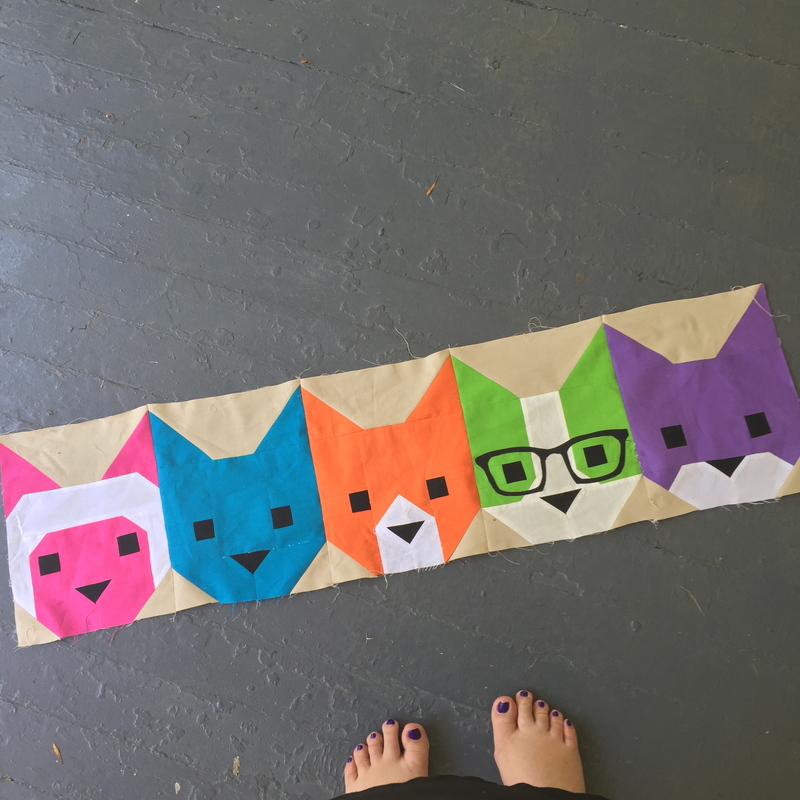 I loved making the kittens because it was all straight-forward piecing, easy square triangles. 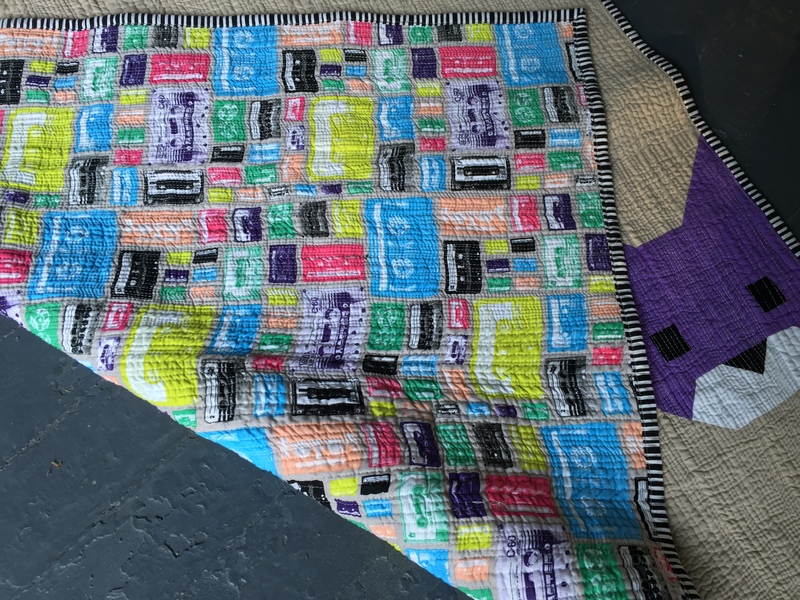 I backed the quilt with a fun mix tape pattern – to round out the 80s color scheme/feel. 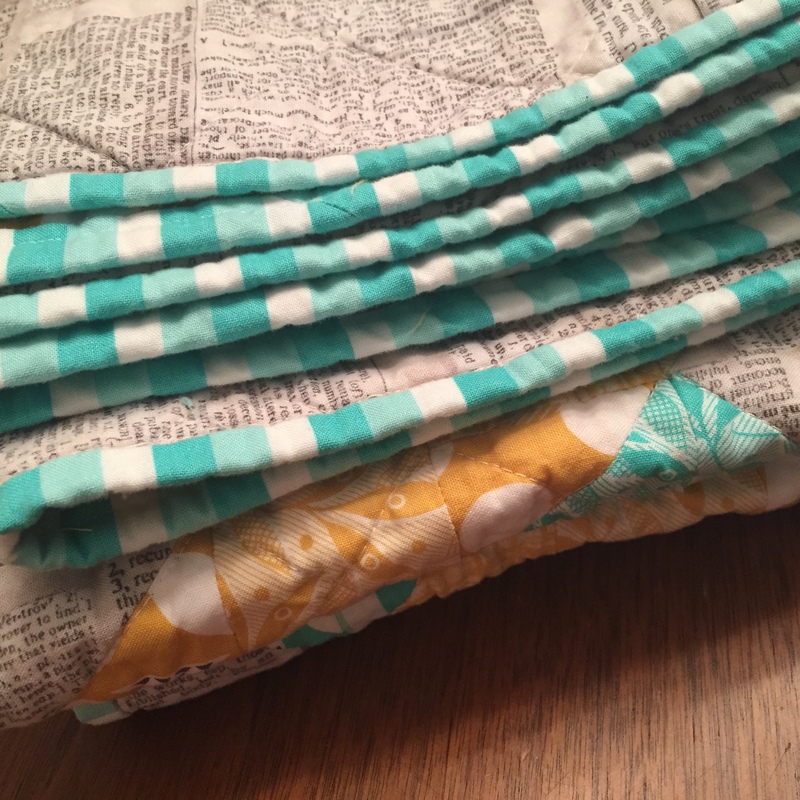 And I used a black/white stripe binding. 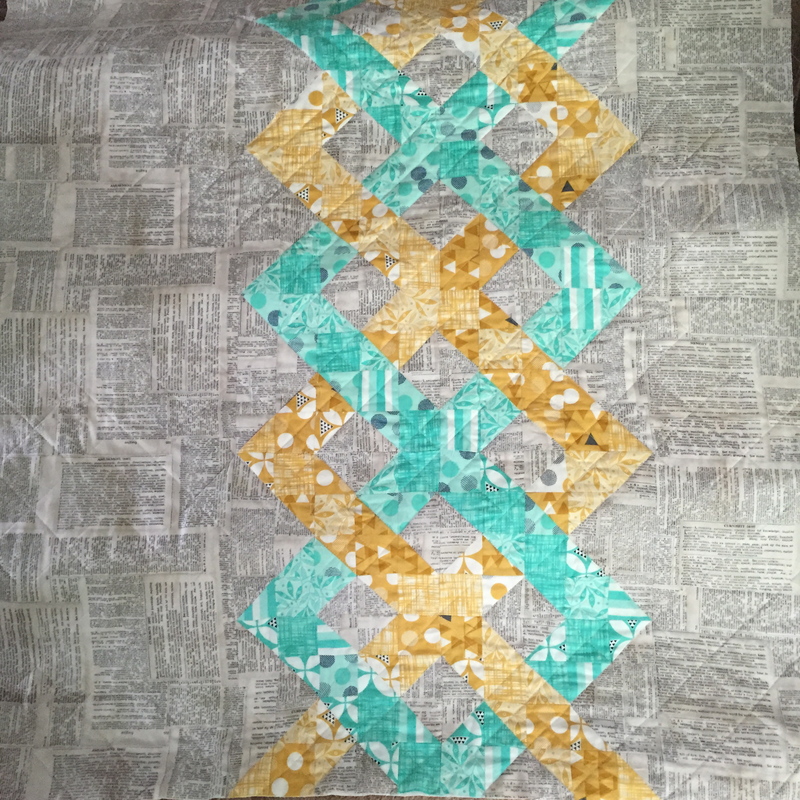 I did free-motion matchstick quilting. 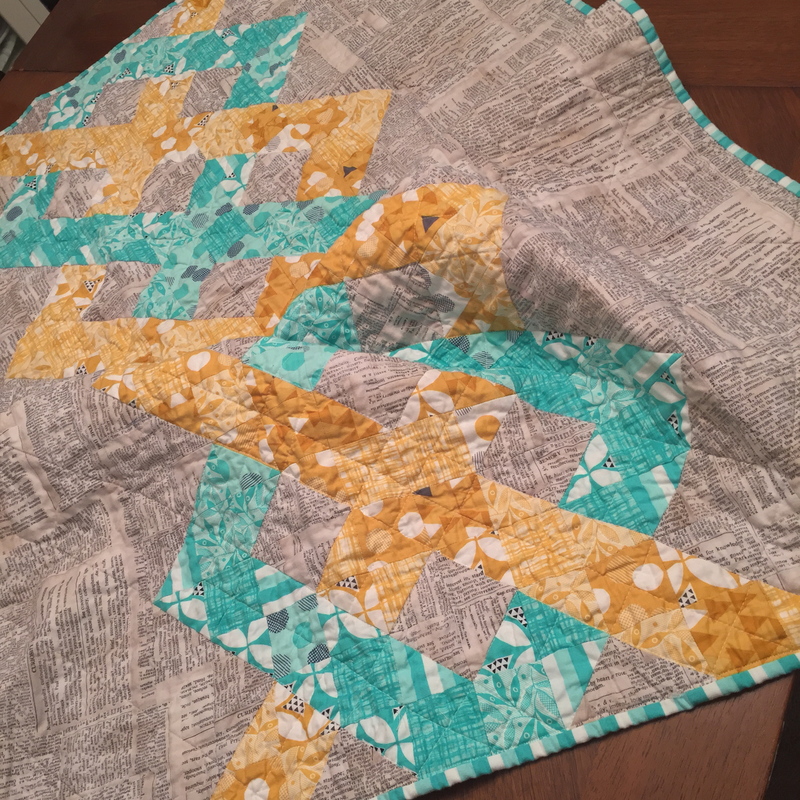 Really, truly loved the texture it gave the quilt – although I am not sure how to do it without distorting/pulling the fabric.